When is the last time you actually looked in the phonebook? Like, actually looked inside and hunted for a phone number? Can you even remember? 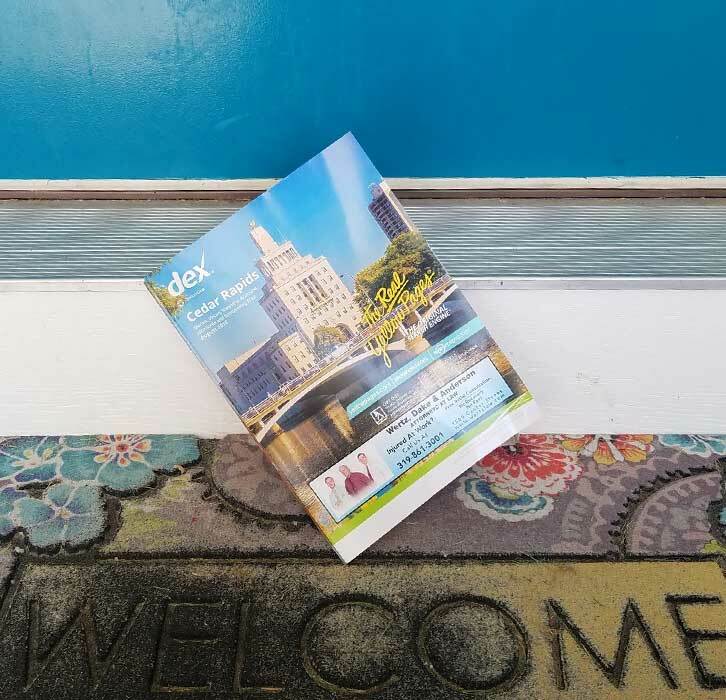 A couple of weeks ago, I came home from running errands and saw this year’s new phonebook sitting on my front step. The poor, sad thing was a mere shadow of its former self, maybe 100 pages at best. When I was a young child, I remember sifting through our phonebook that was at least three inches thick. EVERYTHING was in that thing. Most of you will remember, back in the dark ages before internet, the phonebook was an absolute necessity. If you didn’t have one, you were basically stuck. It was a mandatory item on your marketing checklist. The crazy thing is the 80s and 90s weren’t really all that long ago, but our ways of communicating have grown at an exceedingly rapid pace in the past 30-plus years – especially in the past 20 years. When I first began my marketing career in the early 2000’s, we were already having the conversation about if phonebook advertising was a worthy expense? Before my time, companies spent a significant percentage of their annual advertising budgets, tens of thousands of dollars, solely on directory ads. A small ad with your name and phone number in bold was at least several hundred dollars. Larger ads went into the thousands for a single directory. No one even blinked at the cost. You didn’t have a choice if you wanted to be found. Today, businesses have regained that portion of their marketing budget, as nearly all companies no longer advertise in the phonebook (thanks internet). Some, do not have a traditional phonebook listing at all. Before 1998 (that’s when Google was born), if you moved to a new location or opened a new store right after the phonebook was published you spent a significant about of money notifying your customer base via mail of the change. Once the internet because a tool to communicate such changes, you no longer had to wait a year to update that information. As predicted, Google has become the new phonebook (and personal assistant). All I have to do is pick up my phone and say, “Ok Google, find a pizza restaurant near me.” In a second I have a list of choices. “Ok Google, call ABC Pizza.” Five minutes later, dinner is on its way. Thanks Google! Here’s the awesome thing, Google listings are FREE outside of the staff or consultant’s time to get the listing published. You can update your listing at a moment’s notice, add services, change logos and images, update addresses and most anything else to your heart’s content. Here’s the crazy part, at least once a week I meet someone who has never taken advantage of their Google listing or developed their digital footprint. Often, many of these businesses or owners have been around since the pre-internet days and somehow have a memory lapse when it comes to the cost printed phonebook ads had on their budget. When we chat about digital advertising costs, some owners have sticker shock. While the cost of advertising has gone down, and you can get some for free, it is not cheap when done right. If you are ready to start taking advantage of the marketing value of digital advertising, increasing your digital footprint or just updating/claiming your Google listing (aka your new phonebook listing) let us know. Our team would love to assist you. By taking the time and making the investment, you ensure your customer’s ability to find you and do business.